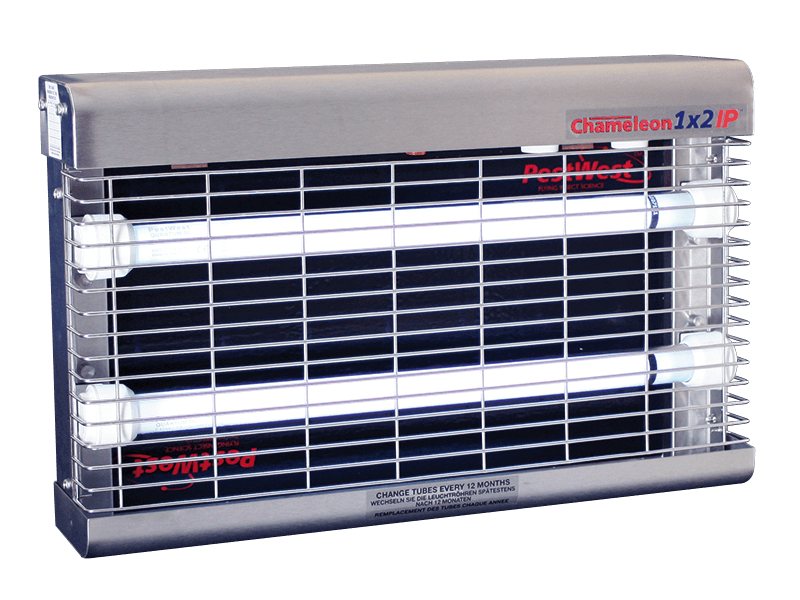 The Chameleon® 1x2IP unit offers advanced fly control for demanding environments and is suitable for areas that are steam-cleaned, hosed down and are damp or corrosive e.g. dairies, abattoirs and industrial kitchens. It is entirely made in stainless steel and IP66 certified.